The taxi driver reacts as though we’d suggested his mother was a lady of the night. We’ve been to Greece plenty of times, we know how things work. In the past these little ‘operating off-grid’ strokes seemed quaint in a slightly roguish way. This time we’re working and a reluctance to hand over receipts, especially ones which reflect real amounts spent, is not only irritating, it could leave us out of pocket. It’s not the best introduction to Crete. But hey, taxi drivers all over the world can be responsible for souring introductions. 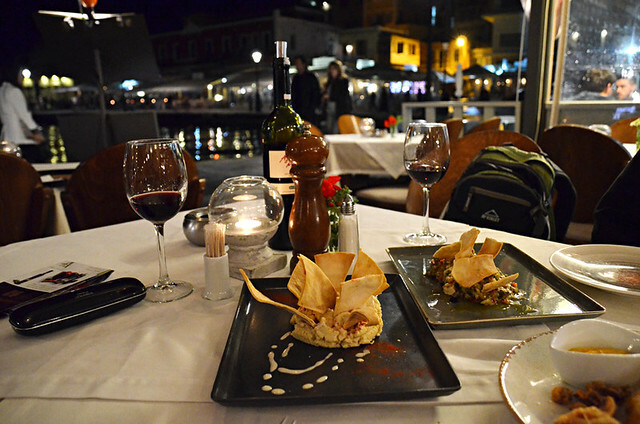 Nevertheless, we arrive on the outskirts of Chania old town with moods as dark as the night sky above us. A couple of hundred yards later, after negotiating narrow alleys and a charmer of a street lined by tavernas and little supermarkets, we arrive at the Amphora Hotel and the darkness is replaced by a glow as warm as that emanating from the tavernas. 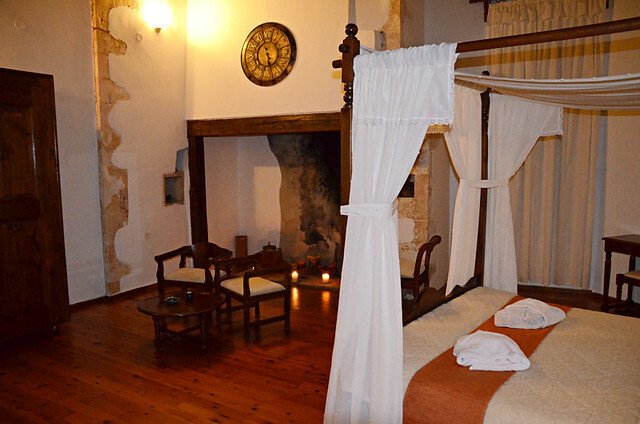 Our room looks more like it could be in Outlander than an old Grecian town house. It’s Gorgeous with a capital G. It doesn’t have a walk-in wardrobe but it does have a walk-in fireplace and a spiral stairway which descends to the bathroom. But it’s nearly 11pm and we haven’t eaten yet. We make a few ‘ooh’ and ‘aah’ noises, dump our suitcases and head out in search of food. First sight of the moonlit water and many memories of good times beside picture postcard Greek harbours are unlocked. 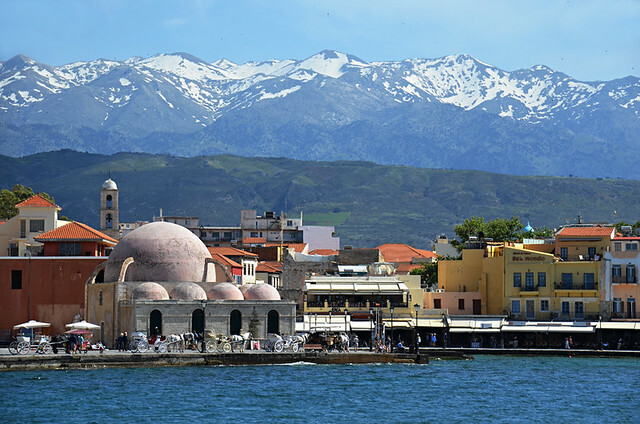 Chania’s is particularly spellbinding thanks to the Venetians who built it in the 14th century, as well as architectural influences courtesy of Byzantine, Roman, Turkish and Egyptian rule. The taxi driver, when we were still friends, told us locals ate at restaurants on the eastern side of the harbour whereas those on the western part were more for tourists. 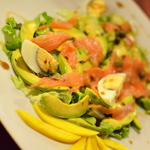 Lithos is more on the western side, but it’s an attractive looking restaurant with a menu which appeals. A tasty meze mix of hummus, aubergine dip and crispy little squid served with some panache confirms we made a good choice. 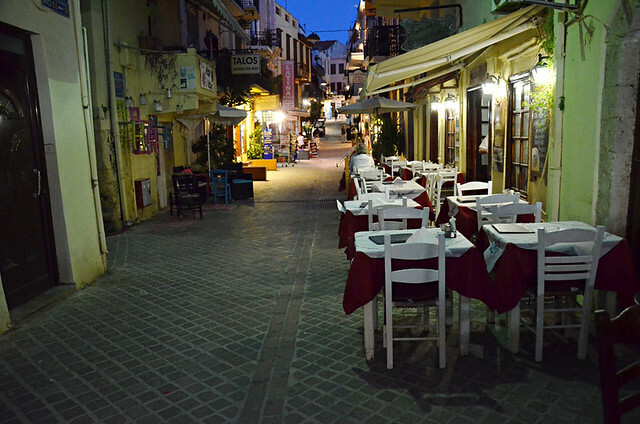 A bottle of wine, complimentary mini jug of raki and view of highlights of Manchester United beating Chelsea on a screen in an adjacent taverna help fuel the flames of a renewed love affair with the Greek Islands. 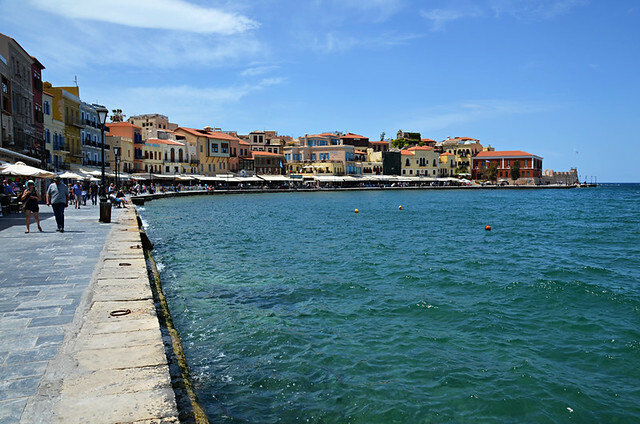 Chania has charmed. Unfortunately we have to move on the next morning. We grab a couple of big bottles of Amstel beer from a kiosk and head back to our Outlander room to enjoy at least a couple of hours awake in its company. We return to Chania mid trip to put together a town walk around its highlights, of which it has many. Whether we get lucky or not I don’t know but we find a spot to park easily, right beside Firka Fortress. Built by the Venetians at the start of the 17th century this was the place in December 1913 King Constantine raised the Greek flag to commemorate Crete becoming unified with Greece. 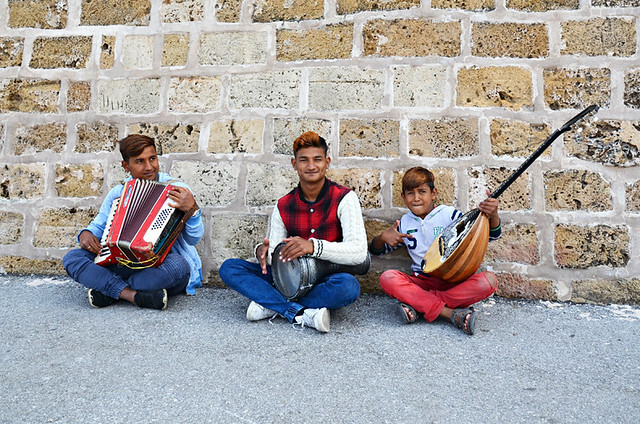 Three talented, cheeky-faced young street musicians provide a jaunty soundtrack to our arrival and we throw a couple of Euros their way. When we left it had been a gloomy day, now the sky is blue and sun is shining, revealing a surprising and spectacular backdrop, the snow clad White Mountains. We didn’t expect to see snow on Crete. We follow a route along the harbour which takes us past crumbling Byzantine walls and one of the harbour’s standout features, the pink domed Giali Tzamisi – the mosque by the sea built in the latter half of the 17th century – where you can hook up with a horse and carriage for a trot around the old streets (€20 for 15mins). We leave the long harbour wall for another day and turn inland to explore the network of backstreets in the Kasteli district, the area where Venetian shipyards were once located. Now in the calm harbour waters bob a mix of fishing vessels and a couple of floating shops selling sponges and chimes made from seashells. Chania’s backstreets are equally as charming as its seafront and full of distractions. Souvenir shops rarely seem as tacky in Greek Islands as they do in some popular holiday destinations; many are more arty and independent. The thumb ring I wear was picked up in a tiny jewellers on Symi. 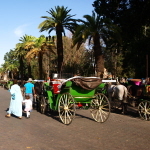 As we notch up old churches, museums and historic squares we also pick up a leather handbag and wallet in a shop in a souk-like alley where leather goods have been produced and sold for centuries. Tavernas behind the harbour are as alluring as those beside it, making it difficult to choose one to refuel after an afternoon’s exploration. The menu at family run Steki in the Splanzia district appeals just that little bit more than its neighbours. Apparently it’s known for its raki – not a deciding factor for us. We over order, ending up with a table filled with dolmades, aubergine salad, Greek salad, cheese and spinach pies, taramasalata and, best of all, a filo pie filled with cheese and drizzled with honey. 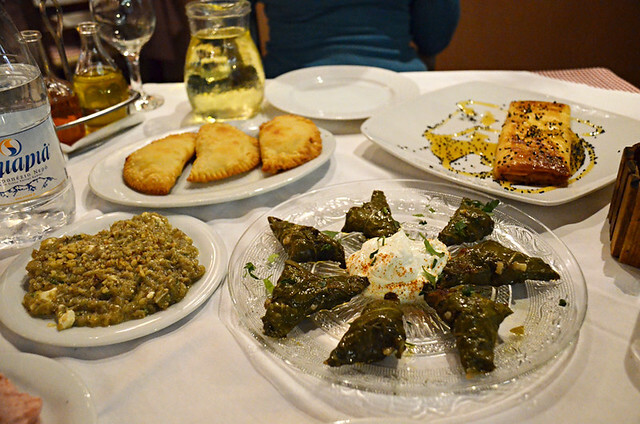 We return to our rural west of Crete base happy and as stuffed as the dolmades. Having spent 3 weeks driving and walking across Crete’s western parts, our journey ends where it started, at the Amphora Hotel in Chania. The room is different, a marine blue airy affair with a balcony overlooking the harbour. It’s not as grand but it is equally delightful… and the view is better. By this time Chania feels like an old friend, we’re relatively familiar with its old streets so no time is wasted turning down alleys to nowhere. Plus we know exactly where we’re going to eat. But first we’ve got unfinished business with the harbour. The route passes a lot of historic buildings with interesting past lives, including the final building before you reach the harbour wall; an annex to the Maritime Museum on the other side of the harbour where there’s a full-sized replica of a Minoan sailing ship (open 9am – 5pm; entrance €2). It’s a surprisingly long way to the Egyptian Lighthouse at the end of the wall, a fact which seems to deter the masses; we pass only a handful of other visitors as we make our way along the protective stone arm, the views of Chania with that incredible mountain backdrop getting more sensational with each step. 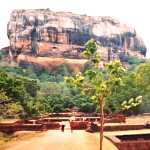 It’s claimed there was once a chain which connected the lighthouse with Firka Fortress across the narrow entrance to the harbour. Any threat of attack and it was raised, acting a bit like a barrier in a car park. We sit whilst time evaporates simply enjoying the view. Lunch is in a taverna where everyone and their dog recommends. Tamam in Ovraiki, the former Jewish quarter, was once the Turkish baths and seems to be popular with locals and visitors alike. We manage to squeeze in the only one available table, jammed between what appears to be two tables of local workers enjoying lunch. Some of the dishes we order we’ve tried previously, many times during this trip in some cases (tztaziki). 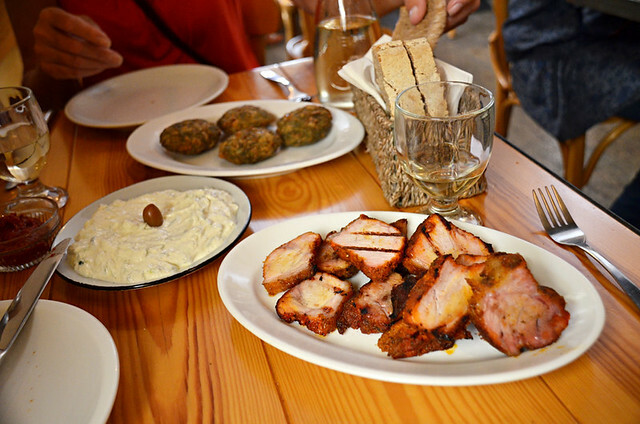 But there’s one which is a first, apakia – pork marinated in wine vinegar which is then smoked and flavoured with spices and wild herbs. I can’t believe I left it till our last full day to try, it is divine. 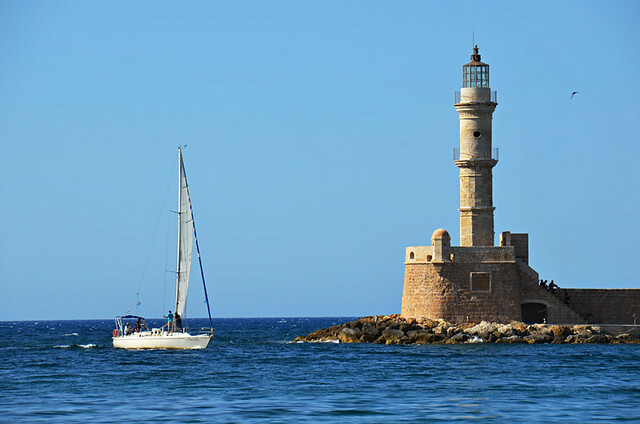 With our Cretan work schedule completed all that’s left is a final afternoon and evening to enjoy Chania at our leisure. The town was a charming introduction to Crete and is the perfect place to end a trip which has been a reminder why we returned to the Greek Islands year after year for more than a decade. There’s no place quite like them.